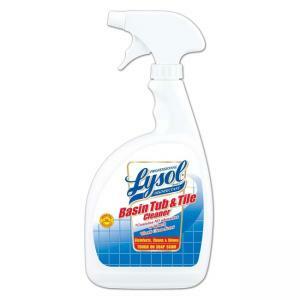 Mild citric acid formula cleans, disinfects, and deodorizes. Prevents growth of mold and mildew. Kills tuberculosis, HIV-1 (AIDS virus), staph and strep germs on fiberglass, porcelain, stainless steel, plastic, vinyl and most hard, nonporous surfaces. Bathroom cleaner comes in an easy-to-use trigger spray bottle.